We’re big on having options—especially when it comes to shoes. Flats and high heels make their own kind of statements, but some outfits call for an in-between. The kitten heel is more than just a happy medium, though. It’s long been considered a refined, feminine dress shoe, popularized by style icons like Audrey Hepburn. 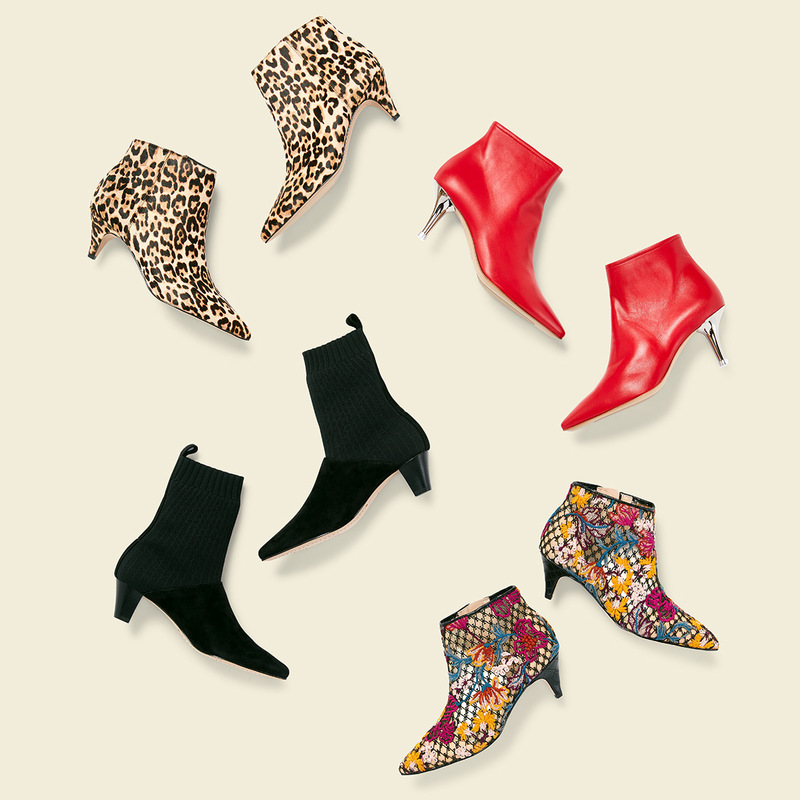 Now, the micro-heel has resurged in a range of on-trend styles and silhouettes: think booties, mules, and even sandals. While we’re nearly through sandal season, you can keep this shoe in your rotation straight through fall. The trick is to transition from partially-open styles (which complement shorts, dresses, and late-summer looks) to closed-toe styles and chilly weather boots. 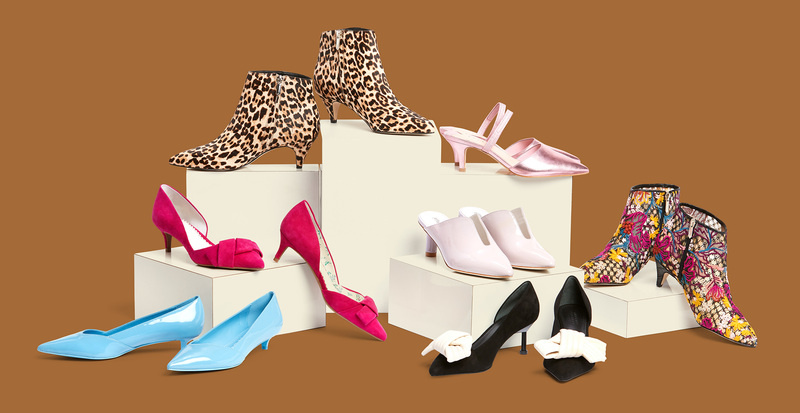 Get inspired by some of our favorite picks below and keep your kitten heels going through any change in season. Mules are the ultimate mid-season shoe, their open backs ideal for mild temps. As a bonus, a mule’s pointed toe elongates the leg and instantly dresses up any outfit. This season’s most popular styles boast dreamy hues like lilac and platinum, but when in doubt, go with a sleek, classic black. Evolving from the mule's open-back silhouette, slingback shoes offer a clean, streamlined look with a heel strap that fits securely—a lifesaver when that three-block walk starts to feel like three miles. To give this ageless style an update, try a bright violet suede or a luxe alabaster leather. Step into a timeless favorite. Pumps are decidedly feminine, but look on point with mid-fall essentials like oversized sweaters and jeans. You can just as easily wear this style with a tailored pant for a go-to workweek look. Refresh your selection with a high-contrast, tweed, or pastel pair. Once the brisk days are upon us, switch to a shoe that adds protection from the elements and style. This season's booties are anything but boring. Try a pair in vibrant floral and lace, or create a focal point with fire-engine red. Animal print is shockingly versatile, and the ease of black is unmatched.